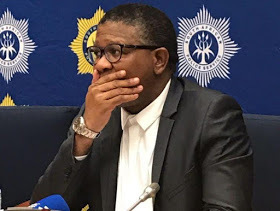 South Africa Police Minister Fikile Mbalula said 57% of the current Police Service members are pushing pencils and in management while only 43% are engaging in frontline activities. “It is my intention to move swiftly in the shifting of administrative responsibilities from police members to employees appointed as per the Public Service Administration Act. “This will allow more police members to be involved in frontline activities,” he said in Pretoria on Tuesday during a briefing outlining his 100 days of strategic planning sessions. 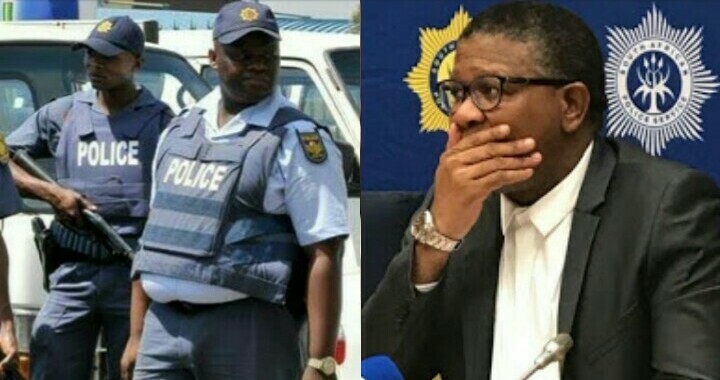 “You can’t be a police man and have a big tummy. It must be chest out and not stomach out. He said boosting the moral of the police is the cornerstone of his plan of action. “Oversight visits to police stations have identified the extensive use of sick leave by members. “This raises questions about the health and welfare of the police members and points to a need for health and welfare programmes to service members,” he said. The minister added that although Chaplains and social workers are situated at cluster level, psychologists are only found at national and provincial levels. “As part of improving the working conditions and thus boosting the morale of the police members, a fully resourced employee health and wellness programme will be established at cluster level,” he said. Partnership strategy to mobilise all role players which includes victim support and violence and crime prevention.